Dr Jan Zglinski is the Erich Brost Lecturer in German and European Union Law at the University of Oxford (Faculty of Law and St. Hilda’s College), where he is affiliated to the Institute of European and Comparative Law. Prior to this, he taught at Bucerius Law School and was a visiting researcher at Yale Law School. Jan holds a PhD in Law and an LLM from the European University Institute and a MJur from Oxford. He qualified for the German bar with the Hanseatic Higher Regional Court in Hamburg. His research focuses on EU constitutional and internal market law, with a special emphasis on empirical legal approaches to studying the European Court of Justice (ECJ). He has also published on the constitutionalization of European private law. Jan acts as senior external editor for the European Journal of Legal Studies. 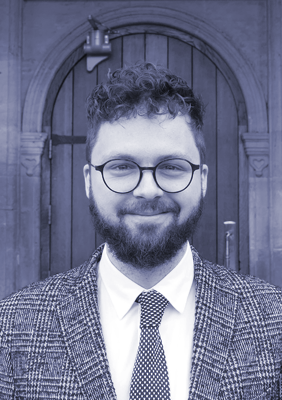 Jan is currently working on a monograph on judicial deference in EU free movement law for Oxford University Press, which will be published later in 2019. The book examines the decision-making latitude accorded to national institutions by means of two deference doctrines, the margin of appreciation and decentralized judicial review. At the same time, it sheds light on a series of broader phenomena in European law: changes in the ECJ’s intensity of review; shifts in the relationship between centre and periphery; and the evolving division of powers between the European and national judiciary. Drawing on an empirical analysis of free movement jurisprudence (1974-2013), the book advances the claim that the Court of Justice has – contrary to widely spread claims in academic and political circles – increasingly limited its involvement in Member State affairs over the past four decades. ‘Der “Motor der Integration” schaltet einen Gang runter: Die neue Zurückhaltung des Gerichtshofes der Europäischen Union’ [The “Motor of Integration” Shifts Down a Gear: The New Restraint of the European Court of Justice], for Europe Direct/Info-Point Europa Hamburg.